Crown Center is a go-to Kansas City destination that visitors and locals alike flock to for niche vendors that appeal to shoppers of all ages. 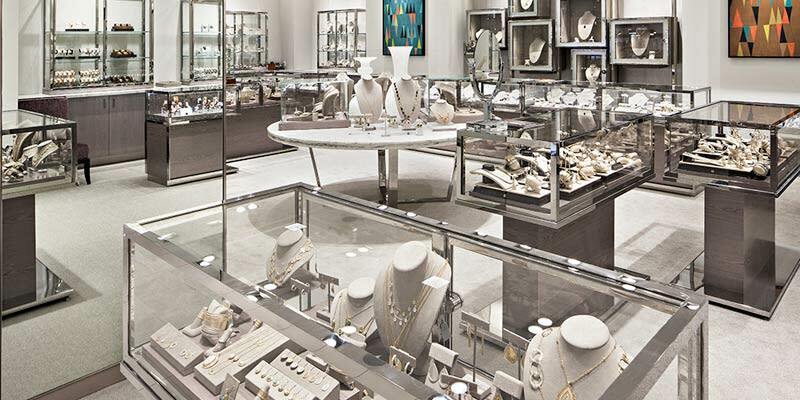 Halls Kansas City – Kansas City’s premier department store is also a homegrown favorite. 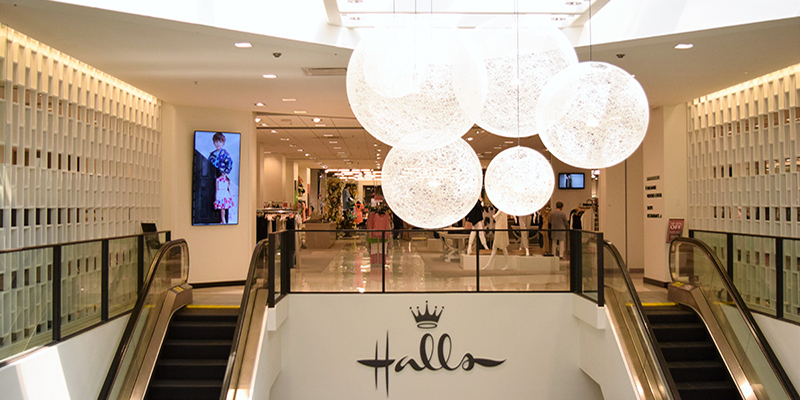 Originally developed by Hallmark founder Joyce C. Hall, the retailer features everything from designer brands to household décor. Function Junction – Stock up on cooking essentials such as bakeware and cutlery, plus join the team for cooking demonstrations and other classes to hone your skills. Crayola Kansas City – Interactive displays showcase the bright world of crayons in this kid-friendly environment. Amy’s Hallmark – Discover new holiday and special-occasion cards, gifts, the latest ornaments and more while shopping in this essential Hallmark experience. 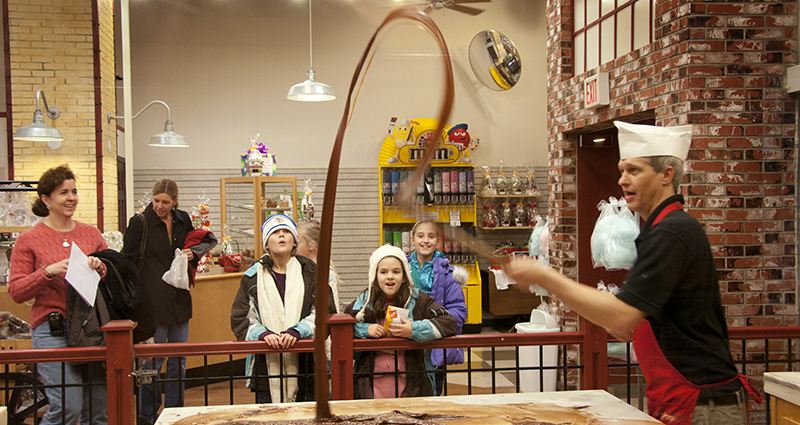 Chip’s Chocolate Factory – Witness the fudge-making process first-hand and sample sweet treats of all kinds after the demonstration. 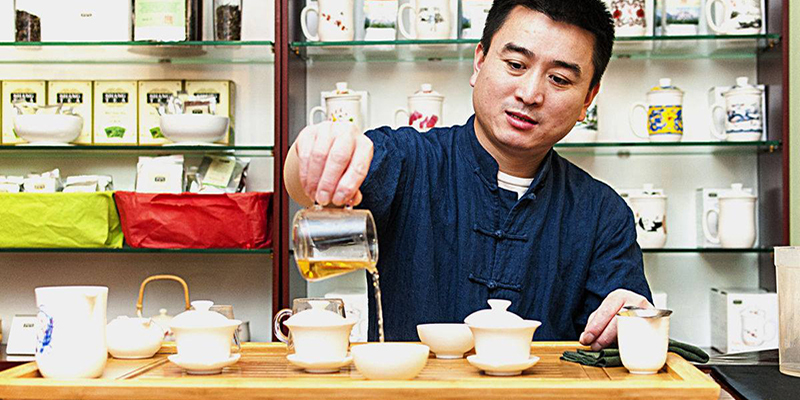 Shang Dim Sum Tea House – The internationally sourced teas available at Shang are perfect for the everyday or adventurous tea drinker. Dine at the shop to sample authentic drinks and food. Topsy’s Popcorn Shoppes – Find a wide variety of popcorn flavors from this favorite Kansas City brand, including cheese, caramel and cinnamon. Smallcakes – Between 18 signature cupcake options and 12 different ice cream flavors, there’s no shortage of ways to treat yourself at this popular shop, regardless of the occasion. For a full list of shops and boutiques in Crown Center (as well as restaurants and other possibilities), visit the facility’s website.